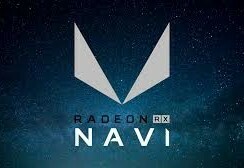 Navi is the currently-accepted name for the generation of AMD processors to succeed the Radeon VII GPU. Cards based on this upcoming 7nm platform may be released later this year. A new leak points to new chipset variants for the series that may differ from those mentioned in previous rumors. Navi will be the second generation to be powered by the 7-nanometer (nm) architectures developed by AMD. It is projected to improve on Radeon VII and to be the real heir to the Vega throne, despite the fact that neither line has been released yet. Cards from this potential major update to AMD's product line will be based on Navi chipsets, three of which go under the preliminary names of Navi 10, Navi 12 and Navi 20. Now, a new rumor may add two more to this list. These new GPUs may be called the Navi 9 and Navi 16. References to both of these, as well as Navi 10 and Navi 12, were found in the code of a beta version of Mojave (14.2). This code was posted on the forums of the site tonymacx86.com by the user Gigamaxx. All four forms of Navi are clearly specified in the code underlying AMD Radeon x6000 hardware properties in Mojave. At present, it is not clear if Navis 9, 10, 12, 16 and 20 could be individual chipset variants. Alternatively, some of these names could refer to cut-downs or multiplications of the same die. Their actual roles in the Navi series, and indeed their existence, will only be confirmed at the event that finally unveils these possibly ground-breaking GPUs. Currently, it is thought to take place in July 2019.